We bring live music to The Yoga Barn, so we can get together, breathe together and share beauty and a sense of community (Sangha). Very excited to welcome the amazing talent of Najma Akhtar, who will be playing for us here this evening. We have completely sold out and the atmosphere should be magical. Ps. 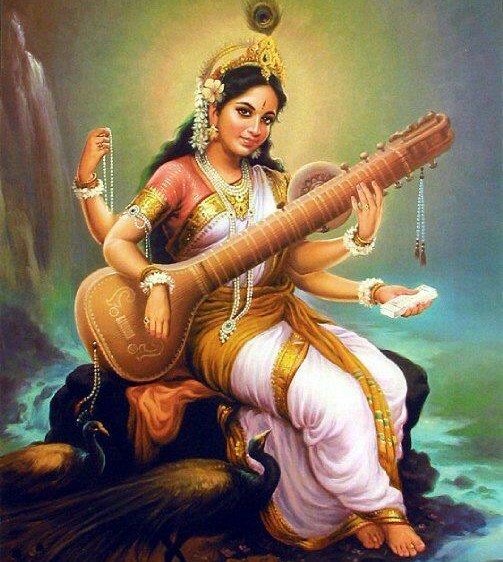 Pictured is the Hindu Goddess Saraswati – a feminine power that activates and sustains artistic, creative, academic and spiritual endeavours. Warning: Yoga has been known to cause good health and happinness.